Trophy Wife is super fun and comfy. 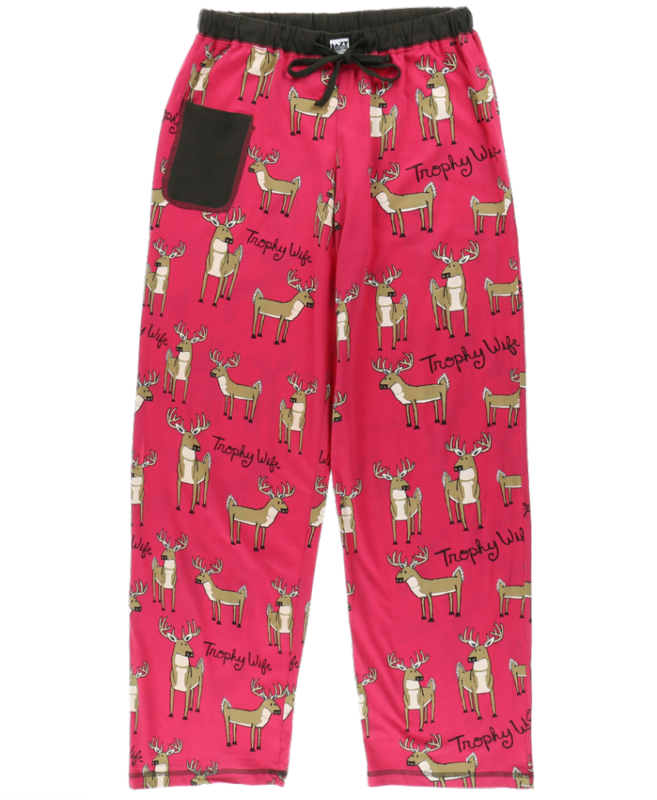 These women's pj trousers feature deer and the words "Trophy Wife" all over the fabric. These pyjama trousers are perfect for lounging and sleeping. 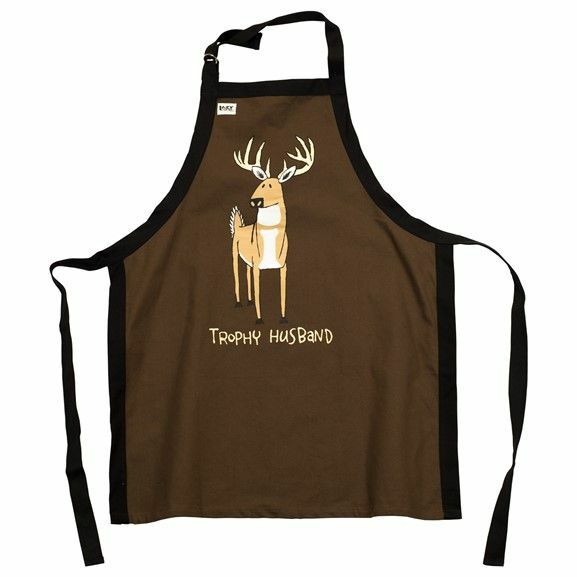 The red background has a brown pocket and brown trim.